Above: The choices of the local authority, retailer and landlord combine to create a significantly more interesting streetscape in this location. Customers are attracted to vibrant neighbourhoods, where the retail landscape is constantly changing, is locally distinct, on-the-move, and has a ‘leading edge’ which creates opportunities for all – the customer included. All these outcomes can be accelerated through quality place management. 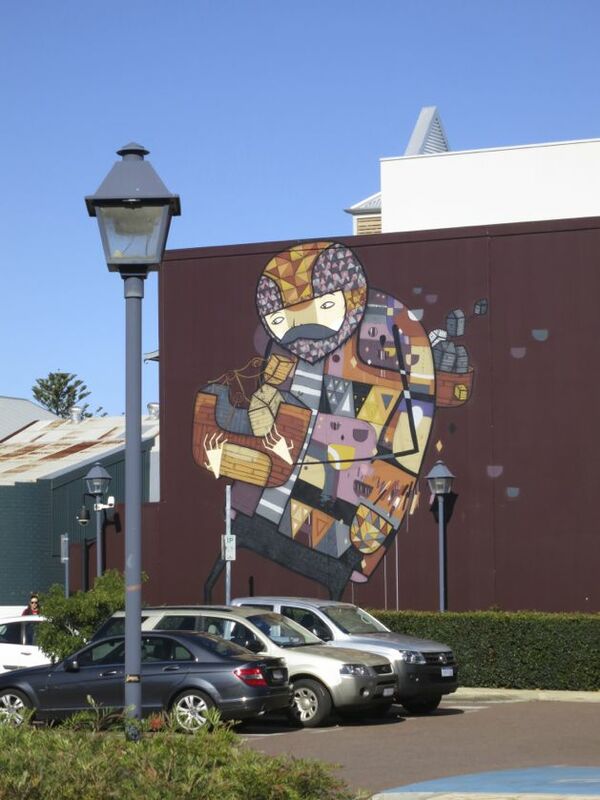 Public Art by Kyle Hughes-Odgers on the side of Zomp Shoes, 2 Bay View Terrace, Claremont, Australia.